This is not a top # list of movies for ’17, but my favorite recent film that I saw on the big screen (it’s flaws aside) was Colossal (which actually came out in ’16). The best viewing experience I had was seeing Vagabond on 35mm during the Olympia Film Festival. 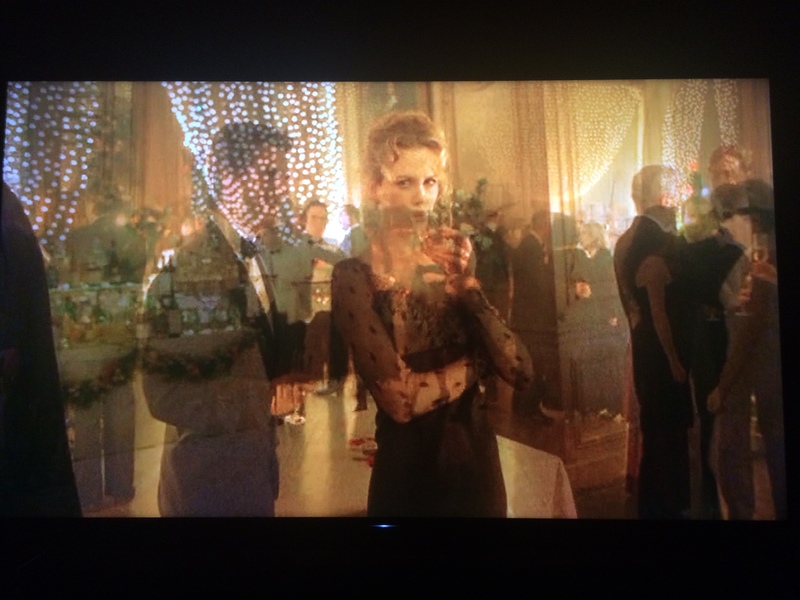 The best movie I took a photograph of while watching was Eyes Wide Shut. I hate dissolves as transitions, but I’m rethinking them now (the picture I took is below). The worst movie I saw was Valerian. Though, it was entertaining in an awful way. That translates to the possibility of me still buying it on Blu-ray and using it as a TV screensaver. You can read my reviews of Colossal and Valerian right here on Protozoic. Happy ’18.